Josiah Hotchkiss was born on 24 Jan 1680/81, in New Haven, Connecticut. He married Abigail Parker, daughter of John Parker and Hannah Bassett, on Sunday, 8 Dec 1715 in Wallingford, Connecticut. Josiah Hotchkiss died on 13 Jul 1732 in Cheshire, Connecticut, at age 51. [S637] Margaret, family tree titled "Hibbard & Hotchkiss Connections", published by Ancestry.com, wc.rootsweb.ancestry.com, from database named mhibbard, updated Dec 2007, viewed Jan 2008. Caleb Hotchkiss was born on 18 Oct 1684, in New Haven, Connecticut. He married Mehitable Cruttenden, daughter of Isaac Cruttenden and Lydia Thompson, on Sunday, 14 Feb 1705/6. Caleb Hotchkiss died on 4 Apr 1763 in New Haven, Connecticut, at age 78. [S944] Elizabeth Simpson, family tree titled "Eliz's Earliest New England Ancestors & Kin", published by Ancestry.com, wc.rootsweb.ancestry.com, from database named sambushed, updated Nov 2002, viewed Nov 2007. Elizabeth Hotchkiss was born on 18 Jan 1685/86, in New Haven, Connecticut. She died on 13 Sep 1723 in New Haven, Connecticut, at age 37. Ruth Hotchkiss was born c 1688, in New Haven, Connecticut. She married Jonathan Sackett on Friday, 12 Mar 1716/17 in New Haven, Connecticut. Ruth Hotchkiss married Benjamin Dorman, son of Edmund Dorman and Hannah Hull, on Saturday, 11 Dec 1728 in New Haven, Connecticut. Ruth Hotchkiss died on 24 Mar 1773 in New Haven, Connecticut. On 1651 in New Haven, Connecticut, Samuel bought a house and lot. On 6 Nov 1655 it was complained that Samuel did not follow the public ordinances upon Sabbath days nor practice with his squadron, but stay home and sleep! Samuel Hotchkiss died on 28 Dec 1663 in New Haven, Connecticut. Samuel didn't leave a will. His wife got one-third, two-thirds to the 6 children. [S1194] Linda Cox, family tree titled "Hotchkiss 2", published by Ancestry.com, wc.rootsweb.ancestry.com, from database named :3156819, updated Mar 2008, viewed Jun 2009. [S1195] Ralph, family tree titled "Judia and Ralph Terry - Family and Neighbors of Coleman County, Texas", published by Ancestry.com, wc.rootsweb.ancestry.com, from database named capenoch, updated Jun 2009, viewed Jun 2009. [S1255] Donald Lines Jacobus, "The Henry Peck Family of New Haven, Conn. in the Line Of Eleazer,2 Eleazer,3 Charles4", NEHGR , published Apr 1967, volume 121, page 81-83 (Boston, MA: New England Historic Genealogical Society). Elizabeth Cleverly died in 1681. She married Joseph Hotchkiss, son of John Hotchkiss and Elizabeth Peck, in Apr 1699 in Guilford, Connecticut. She married Josiah Hotchkiss, son of John Hotchkiss and Elizabeth Peck, on Sunday, 8 Dec 1715 in Wallingford, Connecticut. She married Caleb Hotchkiss, son of John Hotchkiss and Elizabeth Peck, on Sunday, 14 Feb 1705/6. He married Ruth Hotchkiss, daughter of John Hotchkiss and Elizabeth Peck, on Friday, 12 Mar 1716/17 in New Haven, Connecticut. Jonathan Sackett died b 1728. Benjamin Dorman was born on 15 Oct 1673, in New Haven, Connecticut. He married Ruth Johnson on Friday, 10 Oct 1698. Benjamin Dorman married Ruth Hotchkiss, daughter of John Hotchkiss and Elizabeth Peck, on Saturday, 11 Dec 1728 in New Haven, Connecticut. Edmund Dorman also went by the name of Edward. Edmund and Hannah lived in New Haven, Connecticut. Hannah and Edmund had a son who was born and died in Aug of 1671. He was buried at the Grove Street Cemetery in New Haven, Connecticut. [S48] DL Jacobus, The Families of Ancient New Haven, Rome, New York: Clarence D Smith, vol 3 p 563. [S3664] Donald Lines Jacobus, "Graves-Crittenden-Stillwell: A Correction", The American Genealogist , volume 31, page 174 (New Haven, CT: New England Historic Genealogical Society). Hannah Hull was baptized on 26 Feb 1641 in New Haven, Connecticut. Hannah and Edmund lived in New Haven, Connecticut. Hannah Hull died b 1700. Joseph Kingsbury was born on 22 Jun 1682, in Haverhill, Massachusetts. In Jun 1708 Joseph and Ruth moved to West Farms (now Franklin), Connecticut, with his father after the Indian raid. In 1721 he was appointed ensign of the train band, then Lieutenant, then Captain. He was a selectman of Norwich, deputy to the General Assembly. Joseph Kingsbury died on 1 Dec 1757 in West Farms (Now Franklin), Connecticut, at age 75. He owned two slaves - Cuff and Phyllis, which he bequeathed to his wife. Ruth gave them their freedom in Dec 1773. About 20 years later they were reduced to poverty and the town of Tolland brought suit against Ebenezer Kingsbury, executor of his mother's estate, to make him support them. [S445] Norman Elliott, family tree titled "The Lawrence Family", published by Ancestry.com, wc.rootsweb.ancestry.com, from database named elliott299, updated Jan 2002, viewed Nov 2011. [S1316] Find A Grave: Plains Cemetery, Franklin, Connecticut, Joseph Kingsbury, created by David Simpson, added Sep 2006, memorial number 15660508. In Jun 1708 Ruth and Joseph moved to West Farms (now Franklin), Connecticut, with his father after the Indian raid. 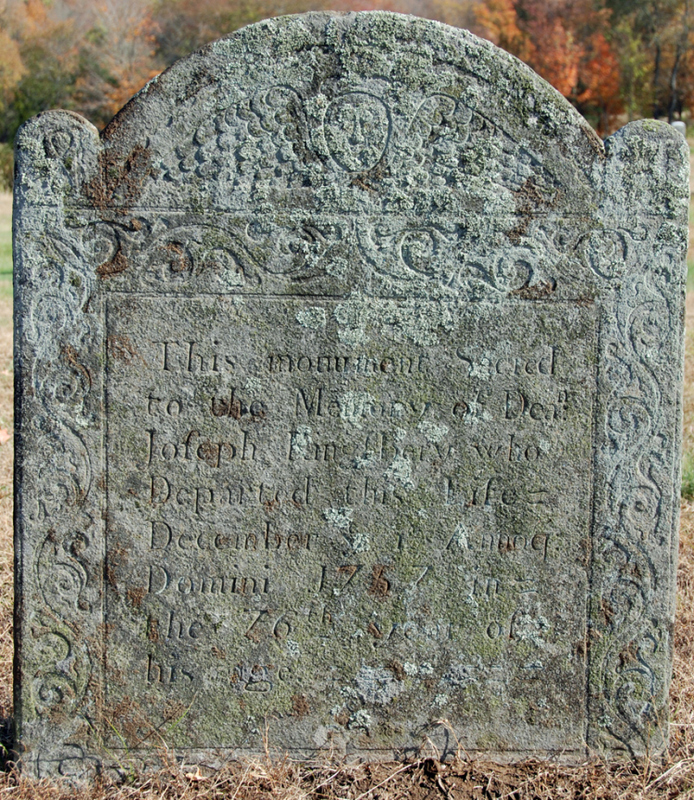 Her husband Joseph died on 1 Dec 1757 in West Farms (Now Franklin), Connecticut, leaving her a widow at age 71. [S4780] Printers Newcomb & Gauss, Vital Records of Ipswich Massachusetts to the year 1850 (Salem, MA: the Essex Institute, 1910), vol 1 p 114. [S1316] Find A Grave: Plains Cemetery, Franklin, Connecticut, Ruth Denison Kingsbury, created by David Simpson, added Sep 2006, memorial number 15550461. [S1316] Find A Grave: Plains Cemetery, Franklin, Connecticut, Ruth Denison Kingsbury, created by David Simpson, added Sep 2006, memorial number 15660461. Jacob Kingsbury was born on 6 Jul 1756, in Franklin, Connecticut. Jacob Kingsbury died on 1 Jul 1837 at age 80. [S15] Frederick John , Mary Kingsbury Talcott Kingsbury, The Genealogy of the Descendants of Henry Kingsbury of Ipswich and Haverhill, Mass., Hartford, Connecticut: Hartford Press: The Case, Lockwood & Brainard Company, 1905, p 250-254. [S15] Frederick John , Mary Kingsbury Talcott Kingsbury, The Genealogy of the Descendants of Henry Kingsbury of Ipswich and Haverhill, Mass., Hartford, Connecticut: Hartford Press: The Case, Lockwood & Brainard Company, 1905, p 254, p 315. [S15] Frederick John , Mary Kingsbury Talcott Kingsbury, The Genealogy of the Descendants of Henry Kingsbury of Ipswich and Haverhill, Mass., Hartford, Connecticut: Hartford Press: The Case, Lockwood & Brainard Company, 1905, p 254, p 314-315. [S15] Frederick John , Mary Kingsbury Talcott Kingsbury, The Genealogy of the Descendants of Henry Kingsbury of Ipswich and Haverhill, Mass., Hartford, Connecticut: Hartford Press: The Case, Lockwood & Brainard Company, 1905, p 254, p 316. [S15] Frederick John , Mary Kingsbury Talcott Kingsbury, The Genealogy of the Descendants of Henry Kingsbury of Ipswich and Haverhill, Mass., Hartford, Connecticut: Hartford Press: The Case, Lockwood & Brainard Company, 1905, p 254, p 317. Sarah Kingsbury was born on 12 Aug 1758, in Franklin, Connecticut. [S485] Joyce Hansen, family tree titled "HANSEN/TANNO CONNECTIONS", published by Ancestry.com, wc.rootsweb.ancestry.com, updated Jul 2007, viewed Nov 2007 , Not Available as of Mar 2015. Nathaniel Kingsbury was born on 17 Apr 1760, in Franklin, Connecticut. 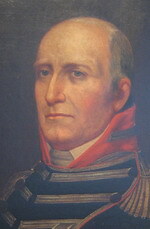 Joseph Kingsbury was born on 5 Jan 1764, in Franklin, Connecticut. He died on 24 Dec 1783 at age 19. [S12] Herold R Finley, "Kingsbury and Allied Families", Americana Illustrated , published 1938, volume Vol 32 No 1 (n.p. : n.pub.) , p 67. [S15] Frederick John , Mary Kingsbury Talcott Kingsbury, The Genealogy of the Descendants of Henry Kingsbury of Ipswich and Haverhill, Mass., Hartford, Connecticut: Hartford Press: The Case, Lockwood & Brainard Company, 1905, p 222.